On January 8, 2016, the Irish firm CRH (previously known as Cement Roadstone Holdings) released a financial report stating that it was selling its holdings in the Israeli cement industry. 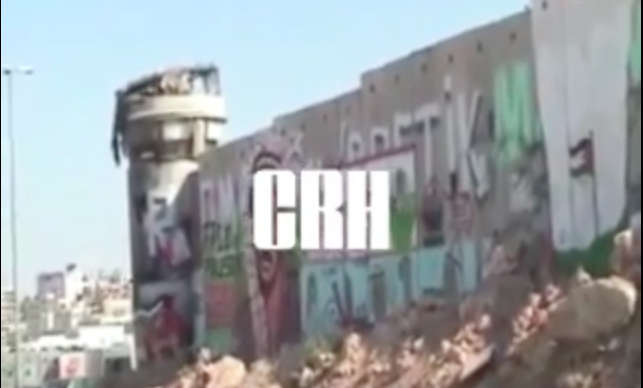 CRH has been a target of UC wide divestment efforts due to its investment in Israeli companies that provide building materials and cement used to construct the Wall and settlements inside the Occupied Palestinian Territories. Irish Palestine Solidarity Groups, which had been vigorously pressuring CRH to cease its cooperation with the occupation for years, hailed the announcement as a major victory. Irish news reports cited pro-Palestinian pressure as a central issue – noting years of protests at the company’s annual shareholder meetings and citing growing pressure from shareholders as well. SJPs in the UC system have long placed CRH on its divestment list due to the UC Regents investment in the firm. Student governments at UC Berkeley, Davis, Irvine, Los Angeles, Riverside, San Diego, and Santa Cruz, as well as the umbrella group the UC Student Association, have passed motions calling for divestment from companies violating Palestinian human rights, including CRH. Other schools in California, like Stanford‘s undergraduate senate, have passed motions calling for divestment from corporations fitting specific criteria. These criteria include the activities in which CRH had been involved. CRH’s cessation of involvement with the nearly 50 year long Israeli occupation of the Palestinian territories is an important victory for all Palestinians living under occupation, particularly those affected by the wall and settlements. It is also a victory for advocates of corporate social responsibility. Recently, Human Rights Watch stated that businesses operating in the settlements are by nature contributing to violations of international law and should pull out – a recommendation that will only gain traction as more companies apply socially responsible investment principles to their business practices. Finally, CRH’s move is a confirmation of the power of public pressure to end corporate complicity with violations of international law and human rights, and an admission that continued involvement with violations of Palestinian rights is not in the interests of investors or corporations. Its actions further reflect a major victory for the students of the UC system who, through their divestment campaigns, have helped raise international public pressure on the corporation to cease its involvement in the occupation. Now that CRH has ended its complicity with the occupation, it will no longer be included in calls for divestment by SJPs. SJPs rightly celebrate this victory and look forward to other companies targeted for divestment ending their financial cooperation with the occupation in the near future.